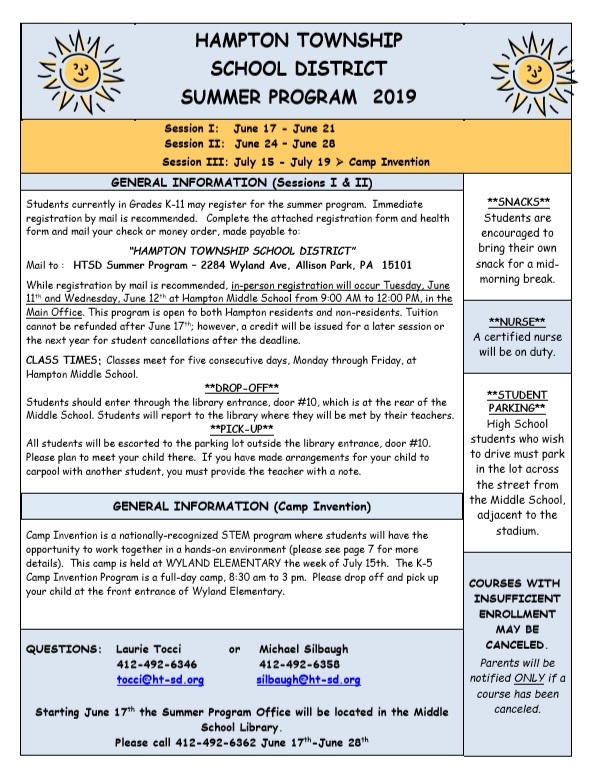 Individual and/or group interviews, photographs, or videotapes of Hampton Township School District students may be taken during the school year for use by the District in various publications, for use in the media, and for use on the District website. Arranging for reporters or photographers to interview and/or photograph students. Using unidentified photographs of students on the District website. If it becomes important to identify students in photos, the District will obtain written parental permission. Recognizing achievement on the District website by using the student's first name and last initial (example -- Mark X.). 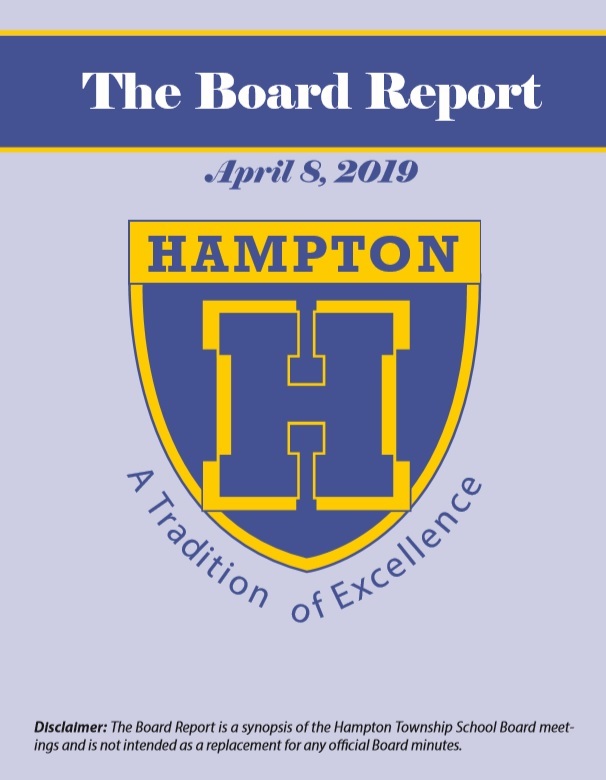 Update: Changes recently were made to the District's Opt Out list. More information about these changes are available here.